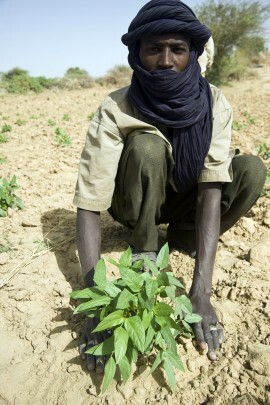 See: http://www.placesandseasons.com/timbuktu-projects-in-touareg-villages-3/ for more images. 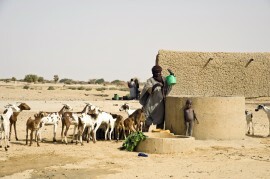 Since writing this article, pre-existing difficulties for rural populations in the Timbuktu region have been exacerbated by the current security situation in northern Mali. In April 2012 Touareg rebel group the MNLA (‘Mouvement National pour la Liberation de l’Azawad') declared independence in northern Mali following an armed uprising. Armed Islamist groups subsequently took control of much of Northern Mali – ‘Azawad’ – including the town of Timbuktu. 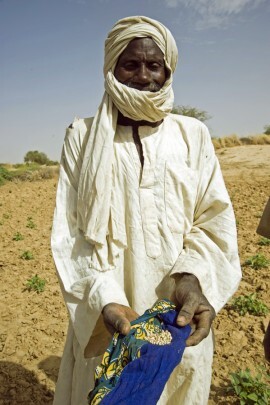 Together with a military coup which overthrew the Government of Mali in March 2012 this resulted in the breakdown of the economic infrastructure, shortages of electricity, water, food and medicines, and an exodus of around 400,000 refugees from the northern regions of Mali into neighbouring countries of Mauritania, Burkina Faso and Niger. More recently, a French military intervention has dislodged the Islamist groups from Timbuktu and other towns in northern Mali. However most of the people from the villages I visited have fled, and many are now in exile in Burkina Faso and other neighbouring countries. ‘Jump4Timbuktu’ has continued to try to support the villages in the food and water security projects throughout this exceptionally difficult time, and it is to be hoped that the work undertaken can resume in full once the situation becomes more stable. The impressive image of a Touareg nomad in traditional robes, traversing the Sahara desert astride a camel is one that has captured the western imagination for centuries. Whilst the Touaregs featured in the photographs on this website do still dress in brightly coloured robes, and ownership of camels is still an essential part of what it means to be Touareg, the reality of day to day life in one of the harshest regions in the world has forced many Touaregs to adapt their traditional way of life in order to survive the challenges of climate change and desertification. 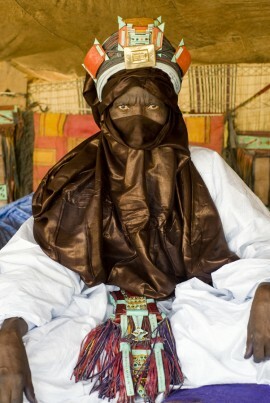 In recent years Touareg tribal lifestyle and culture in the Timbuktu region have come increasingly under severe threat. Poverty, climate change and geographic isolation pose serious challenges to their nomadic tribal way of life. In discussion with tribal leaders and the artisan associations, the UK charity ‘Jump4Timbuktu’ has agreed a long term plan to meet these challenges, starting with projects to improve their capacity to trade from their workshops in Timbuktu, and also projects to improve water and food security in five of the desert villages in the region of Timbuktu. The initiatives in the villages were planned with the full participation of the villagers, who are also making a financial contribution, and provided all the labour necessary for the projects. 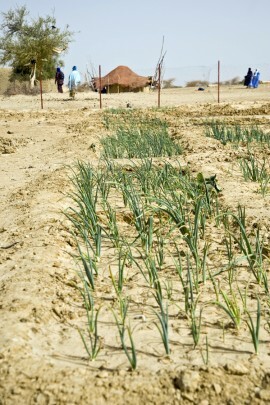 In 2011 I visited food security projects in three of the villages that ‘Jump4Timbuktu’ is working with. These include pilot garden schemes which have stimulated very positive community involvement, some of which produced quantities of vegetables within 4 months, with the potential to double and treble the growing area. Other villagers are requesting to be involved now that they have seen the success of the first group of villagers to try gardening. In the village of Togha I spent time with some of the women of the village, and they told me about the main challenges facing the village, and their hopes for the future. All of the women spoke about the importance of education for their children – ‘pour avoir un avenir’ – to have a future – yet the nearest school is 6 km away, and there is no transport; the children have to walk there and back. Azhara (pictured) spoke for many of the women when she said that a mechanical mill for grinding grain, rather than pounding it by hand would improve their lives immeasurably. There is also no hospital or even a dispensary nearby, and no transport to take people to the nearest hospital when they are ill.
All of the women acknowledged the importance of the garden in enabling them to earn some money from the sale of vegetables, and to supplement their diets, but there is clearly much more to be done before these communities will be in a position to lift themselves out of poverty. A second well has been sunk in N’Dala / Tagouft, one of the villages that I visited, due to increased demand for water as more families have come to settle in the village. This new project has been developed in close collaboration with the local population, and with Malian organisations; ‘Malian Association for the Survival of Sahel People’ (AMSS), and ‘Touareg Relief’ who organised the fundraising for the project. During our visit to N’Dala we witnessed the ‘laying of the first stone’ for the new well – or rather, ‘the first digging’ to mark out the spot in the vegetable garden where the new well was to be sunk. Huge progress has also been made in the village of N’Dala with the building of a school and a health centre, assisted by money raised from the sale of jewellery and leather work made by artisans from the village, and by direct donations from individuals in the UK. Up until the recent rebellion and upheavals in the region, the school was attended by 100 children, taught by teachers who were paid by contributions from the villagers. 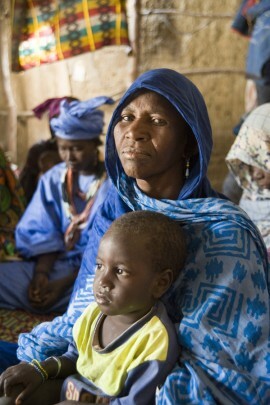 It is to be hoped that once the situation in northern Mali has stabilised, lessons will resume. On the day I visited the school, I witnessed very young children grasping the intricacies of French grammar far more impressively than I ever remember doing at that age…. Five gleaming new computers greeted us on entering the new ‘Centre de Ressources pour l’appui des artisans’ – a computer and resource training centre – which has just opened in the town in partnership with ‘Jump4Timbuktu ‘. The centre plans to provide training in computer skills, French and English, and promises to provide invaluable assistance to enable the many highly skilled artisans of Timbuktu to market their work abroad. The manner in which these communities have successfully risen to the challenges of climate change is inspiring. Rather than allowing their entire culture and way of life to be destroyed, they have embraced the need to change and adapt in order to retain their community and much of their traditions, and to be able to remain in the region they have always lived in. Both the garden projects and the artisan training centre will eventually assist these communities in taking back a degree of control over their lives, and will help place them back on the path to self-sustainability.